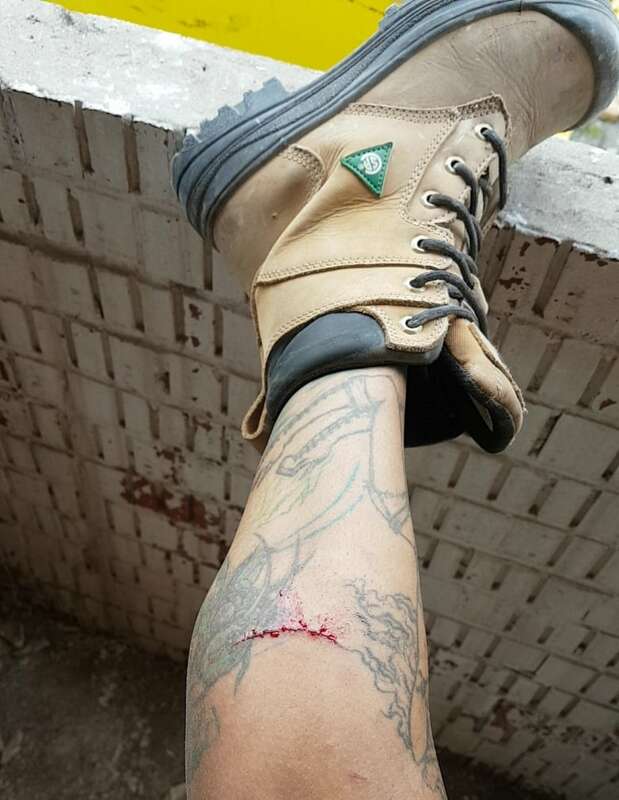 It's almost been a year, but a Niagara woman is still fighting the aftermath of being cut by a nail at a construction site. The room is purple. And a ventilator is in her throat. Colleen O'Connor wakes up to the sound of nurses talking and she screams for her dad. 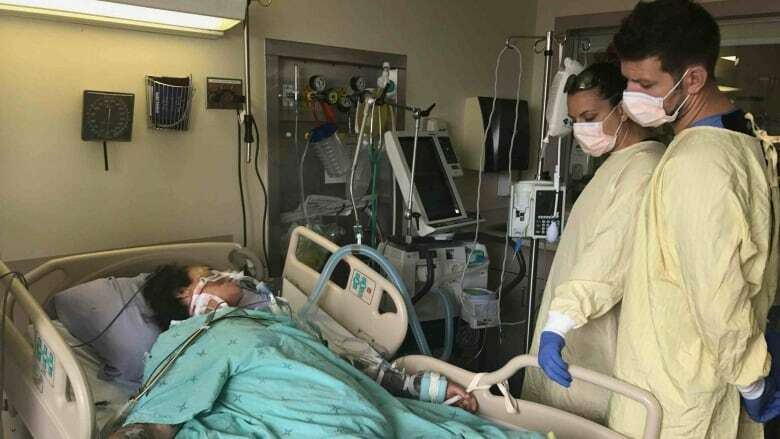 She had been in the intensive care unit at Welland General Hospital in the Niagara area — unconscious for a week — and her parents were told she wasn't going to live. 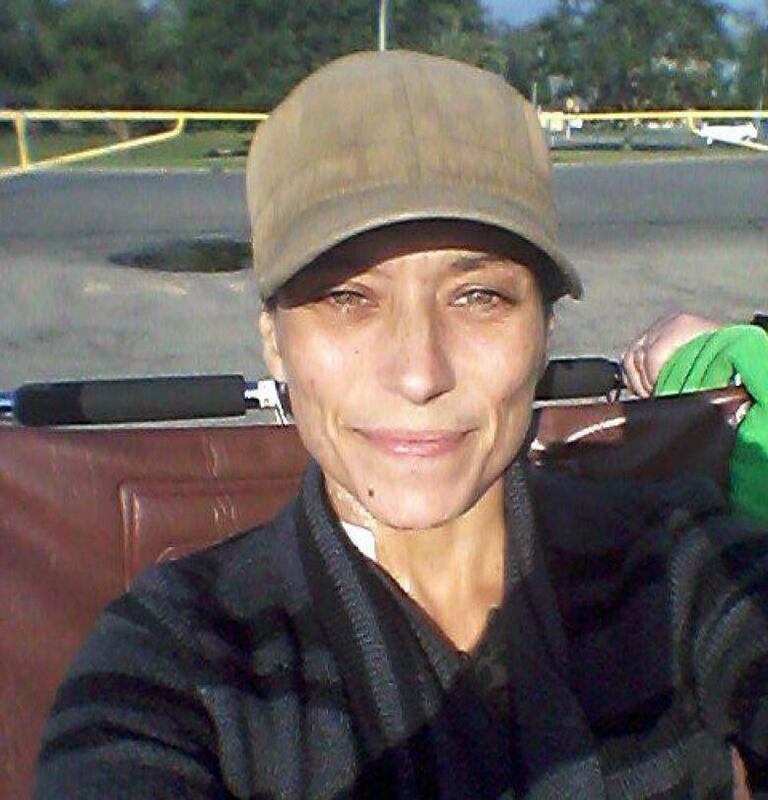 "I woke up completely upside down," she recalls that day in August 2017 when she regained consciousness, "It took me a couple weeks to really grasp what had really happened." And what happened was that O'Connor got flesh eating disease. The 38-year-old said the doctors found black mould in her blood. 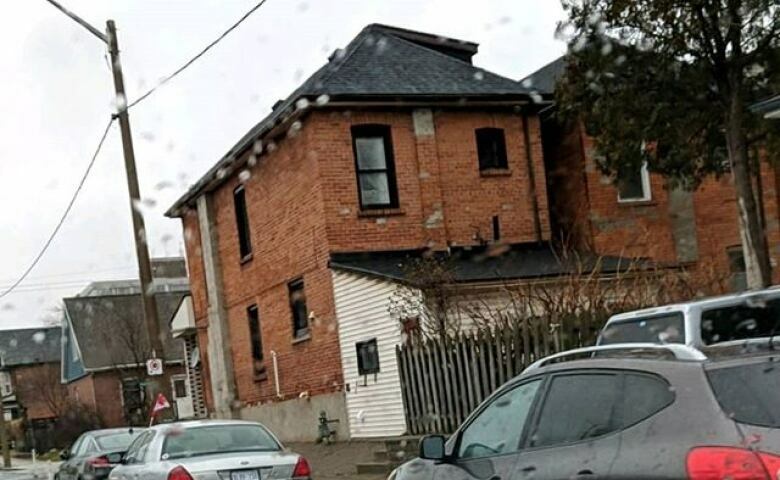 When they asked her about a recent time when she might have cut herself, the only thing she could think of was the nail she cut herself on when helping some friends flip a house in Hamilton. "[The cut] wasn't really deep but it was deep enough," she says. "There's no other explanation." She describes the house as being ridden with black mould and full of exposed nails. "I could've not woken up with a leg. I could've not woken up at all." Being infected with flesh-eating disease is rare, says Ninh Tran, associate medical officer of health at Hamilton's public health unit, but other types of infections could happen with any type of cut or burn. "Generally, if you're noticing swelling and redness that happens to be spreading rapidly," he says, then you need to get medical attention. Other things to watch out for after a cut or a burn is a reddish purple colour, little blisters, weakness, fever or a significant amount of pain. "Obviously the bigger the cut, the more extensive the burn, increases the risk of developing an infection," Tran says. O'Connor says she left her cut uncleaned despite having warned her friends to clean theirs that day. She recently heard from a friend who works in construction, "'I gotta start wiping my cuts and cleaning my scrapes.'" O'Connor cut her leg on a Friday. She says on Monday and Tuesday she felt like she had a flu and was feeling some cramps. At first she thought perhaps it was from working out too rigorously, as she liked to do kickboxing and lift heavy weights. But when she was waiting to be seen at the Douglas Memorial urgent care centre with her mom, she started sweating. 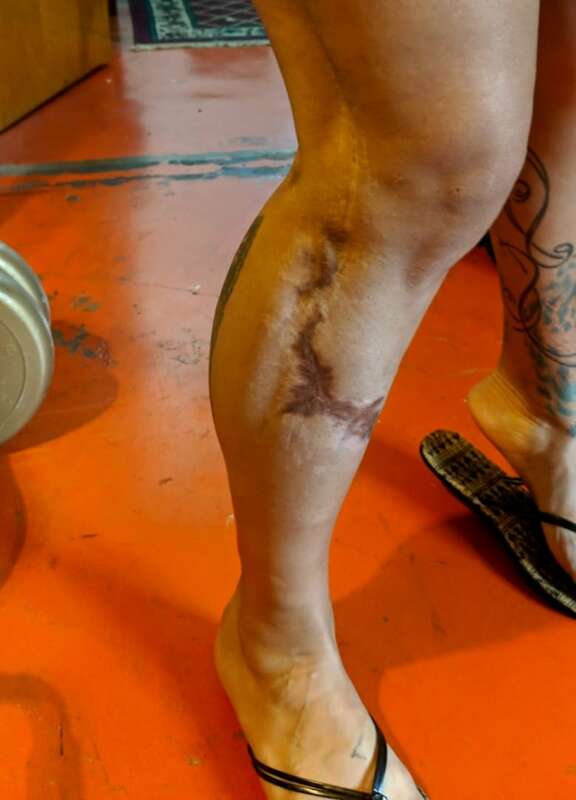 Her mom said her leg "looked like it was dead." Then she went into septic shock. "My mom saved my life," says O'Connor. "If she wasn't there watching me and staring at my leg, it could've been completely different." One surgery, becoming bedridden, rounds of antibiotics, drastic weight loss and months later, O'Connor was finally able to return to the gym in February 2018. It took her a few months, but now she can workout for hours again, despite there being a numbness in her leg and her knee being a bother sometimes. She wears a large scar that attracts a lot of attention when she's walking outside. But what isn't so visible are the recurring nightmares. The dreams are always gory, she says, from scenes of the accident to thinking she had woken up without a leg. "It's like a horror movie that I'm a star of, and I don't win at the end type thing." She's on long-term disability now and sees a mental health worker. She says she will finally speak about the accident in more detail over a two-hour session scheduled on Friday. "It's emotional, but i have to do it," she says. The entire healing process has been long and tedious for O'Connor, but she says she's grateful to still have a leg and be able to walk. "I'm feeling the pain, I'm here to be able to feel it, I'm happy with that."